DEL MAR — The annual Fred Hall Del Mar Show returns to the Del Mar Fairgrounds March 27-30, giving sport anglers, boaters and other outdoor enthusiasts a chance to see the latest in fishing gear, tackle and accessories — along with new boats, expert seminars, fun attractions, an expanded hunting and camping section, and much more. It all takes place at the Del Mar Fairgrounds, at 2260 Jimmy Durante Blvd. The show is the ultimate on-land show with more than 300 boats and displays and a full day of family fun activities including; The Ram Ultimate Air Dog Show; The Mammoth Lakes Kids Fish Free Trout Pond; The Toyota Paul Bunyan Lumberjack Show; The Costa Sporting Chef Café featuring Scott Leysath in “Gaffed” and Challenge the Sporting Chef competitions; The Great American Duck Races; The Fishing in the City Kids Casting Contest and The Accurate Fishing Products Saltwater Tank. The Typhoon Freshwater tank, The Cousins Tackle main seminar stage, a special archery “sporting clay” machine and air gun ranges, soft air ranges, laser shot games, fly-casting lessons, and a flight simulator and climbing wall will also be at the show. 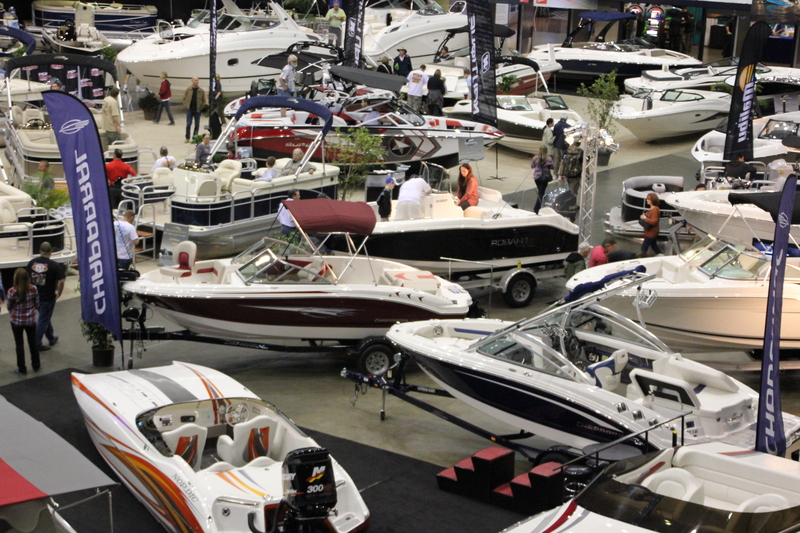 Guests can sign up to attend any of the more than 200 seminars scheduled throughout the four-day show, which is brought to you by Progressive Insurance, Hobie Kayak Fishing and KeepAmericaFishing. Seminars will be held in the Hobie Kayak Fishing Seminar Theater located next to Fastlane Sailing and Kayak Center in the Bing Crosby Hall of the Del Mar Fairgrounds. Speakers will include legendary kayak anglers Kevin Nakada, Afran Abutin and Larry Lauman, along with Jared Lane, and Morgan Promnitz who works for Hobie and fishes for them all over the world Joining this extraordinary “kayak crew” will be Calico Bass guru Corey Sanden of MC Swimbaits. The most amazing part of this “kayak-fest” is the daily kayak fishing panel that will include Jared Lane, Afran Abutin, Corey Sanden and Morgan Promnitz. Kevin Nakada will be the moderator. On Saturday, March 29, Pete Gray, radio talk-show host of Let’s Talk Hook-Up, will be the moderator and Kevin Nakada will join the panel. This once-in-a-lifetime panel will take place at the Hobie Kayak Fishing Seminar Theater each day of the show at 5 p.m. There will be a lot of information about kayak fishing dispensed at this theater and especially from this panel. Don’t miss it. Be sure to visit The Log/FishRap booth, where you can sign up for a free digital subscription and e-newsletter to be automatically entered to win the grand prize — a Malibu Sierra 10 kayak.The drawing for the grand prize will be on March 31 — and the winner will be announced in the April 11 issue of The Log Newspaper. Winners do not have to be present to claim prizes. Fred Hall Del Mar Show hours are noon-8:30 p.m. weekdays, 10 a.m.-8 p.m. Saturday and 10 a.m.-6 p.m. Sunday. Admission is $13 for adults, $12 for seniors and free for active military personnel and children 15 and younger with a paid adult. Buy tickets in advance at fredhall.com or in person at the door.